When you're searching for a home, it's not just about what type of home you live in. Greater Columbus is one of the best places to live in the country, but which neighborhood is right for you? Things move fast in this market so once you are ready to start looking for a home, let me know! I can set up a custom search for you that pulls information directly from the Multiple Listing Service (unlike sites like Zillow, Trulia, etc). This search can cover multiple areas and will alert you as soon as a home matching your criteria hits the market. Once you get an email that interests you, I can set up a showing and get you in to see your potential new home! Start browsing below by neighborhood or click to have me customize a search just for you! Immersed in culture, near it all. IV is a mixed land use neighborhood in Columbus, Ohio that contains an array of residential, commercial, and industrial buildings. It is a designated historic district, known for its historical and cultural preservation. The building types and architecture reflect Italian influence. With its parks and preserved historic homes, Italian Village has the highest home value appreciation in Columbus. Italian Village is part of the Short North area. The neighboring Downtown District provides access to major employers, cultural and learning institutions, and entertainment venues. Grandview Heights is a small, walkable community in the heart of the nation's 15th largest city. Take a stroll along Grandview Avenue, and you'll pass by award winning restaurants, local shops, bars and coffee houses. Grandview Heights maintains its own police and fire departments and an independent school district. It is often remarked upon as being a small insulated city very close to downtown Columbus and all it has to offer. Upper Arlington is an affluent suburban city in Franklin County, Ohio, United States, on the northwest side of the Columbus metropolitan area. It is bordered on the west by the Scioto River, on the north and east by Columbus, and on the south by Marble Cliff and Grandview Heights. The Olentangy River and the main campus of the Ohio State University are a short distance to the east of Upper Arlington. Downtown Columbus lies to the southeast, its skyline visible across the OSU farmland research facilities extending along Upper Arlington's eastern border. German Village is a 223-acre historic residential district, just south of downtown. It was settled in the early-to-mid-19th century by a large number of German immigrants, who at one time comprised as much as a third of the city's entire population. It was added to the National Register of Historic Places on December 30, 1974, becoming the largest privately funded preservation district on the list, and in 2007, was made a Preserve America Community by theWhite House. With loads of charm, brick roads, bars and amazing authentic restaurants it is a destination spot and a happy home to many. Clintonville is a neighborhood in north-central Columbus, Ohio, USA with around 30,000 residents. Clintonville is an informal neighborhood. The southern border is loosely defined as Arcadia Avenue or the Glen Echo Ravine. To the east, either Interstate 71 or the adjacent railroad tracks are commonly accepted. The western boundary is assumed to be the Olentangy River. The northern border of Clintonville is the most ambiguous, with definitions anywhere in the 3 mi (4.8 km) stretch from Cooke Road to the southern border of Worthington. Clintonville features many local restaurants, shops and bars as well as great parks and antique shopping. 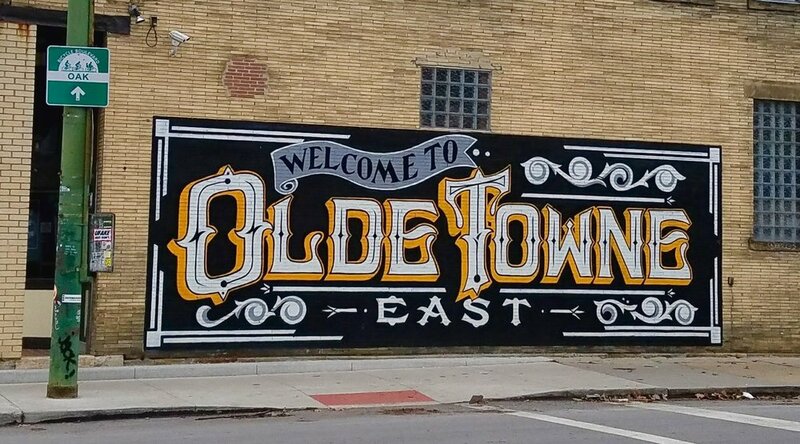 Olde Towne East is a neighborhood located in the historical Near East Side of Columbus, Ohio and is one of Columbus' oldest neighborhoods. The area has over 1,000 homes, some as old as the 1830s, and more than 50 architectural styles as a result of its history. These homes were built by many of the famous individuals of Columbus including industrialists, lawyers, judges, teachers, architects, mayors, governors, and legislators, many of whom shaped the city. Didn't find what you're looking for? Let me customize a search for you so that you receive an alert as soon as your dream hits market!